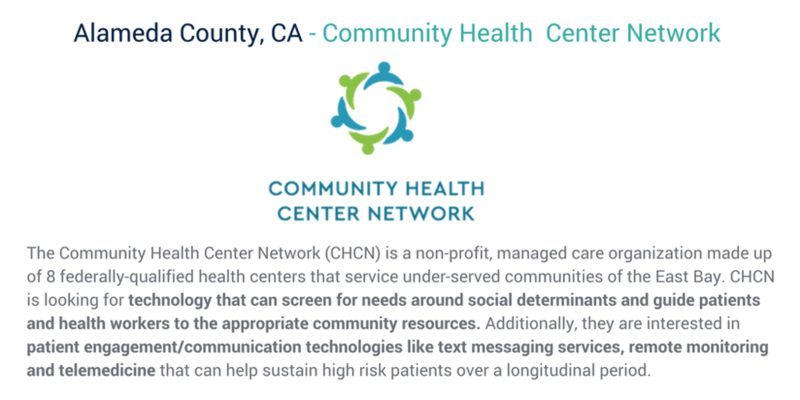 Technology for Healthy Communities is a digital health pilot program that facilitates technology adoption at the community level by tackling the most pressing local health issues. The inaugural program connects health technology innovators with 3 under-served communities across the U.S. with the goals of improving health outcomes and building sustainable partnerships. Sign up for the Catalyst Newsletter to stay up to date on our current and upcoming challenges.